Fangirls, we all know that I love baths. 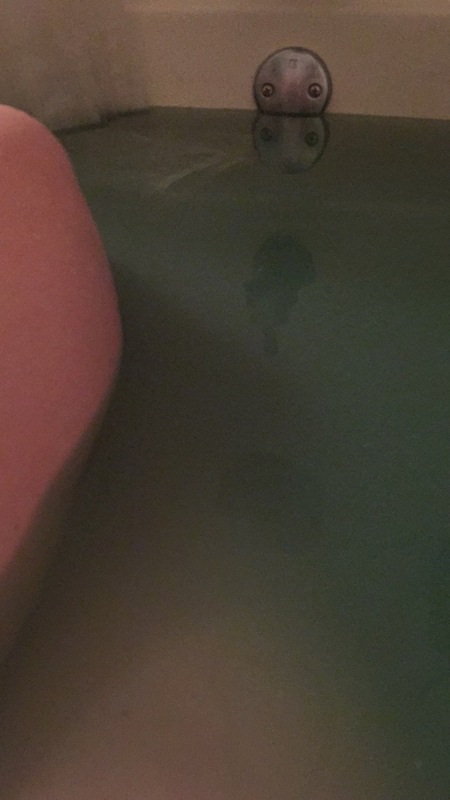 I think experiencing new things in bath bombs, is wonderful, and I love just taking a long hot soak after an exhausting day at work. 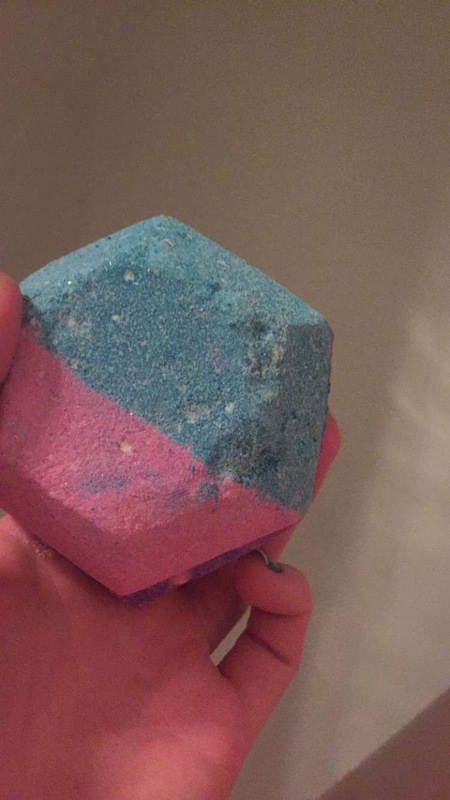 The Experimenter is a bath bomb that I got over the holidays, and loved from the first time I saw it because of its gem-like appearance. I love the Steven Universe, so of course I want to take a bath with what looks like a gemstone! This gorgeous little number absolutely filled my bathroom, as soon as it touched the water. It was a sweet and spicy scent, which was a perfect (and surprising) combination. Plus it wasn’t too bad on the eyes, either! I felt like the actual reaction part of the bomb lasted forever. Partially because its so big, but also because there are pop rocks in it! I was astounded and excited when I started to hear them going off around me, while the bomb still fizzed. The Experimenter made my bath a lovely teal, and full of sparkles. It was beyond gorgeous. I gave away one of mine awhile back, and now I regret it! I want all the Experimenters to myself. I feel a bit greedy, but as soon as you smell one of these babies, you’ll understand. 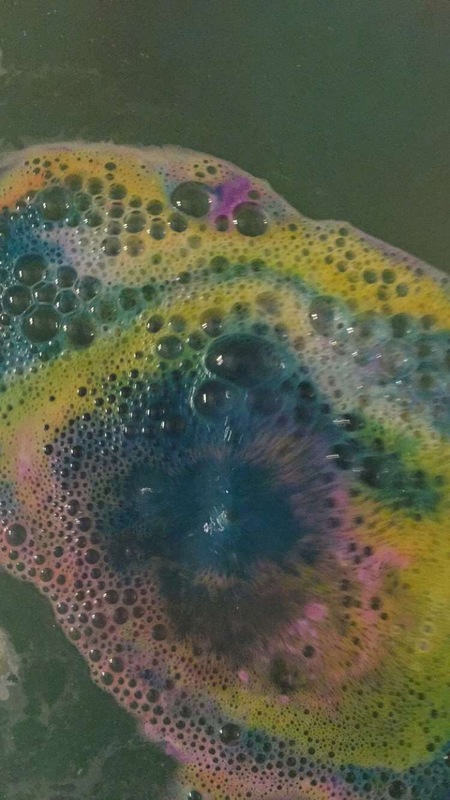 I highly recommend the Experimenter Bath Bomb from Lush because it smells good, makes your bath incredibly pretty, and even makes your skin super soft; something we all need in these winter months. At almost $9, its a bit expensive, but you get quite a bit of bang for your buck. You can buy yours here. It’s the perfect way to spend your Valentine’s Day, alone or with your significant other! 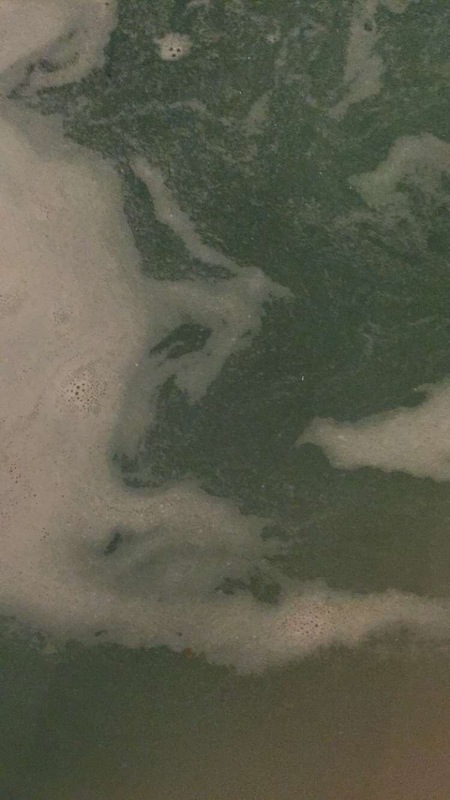 If you have any bath product recommendations, Lush or otherwise, leave them in the comments below! I’m always looking to try new baths.